College is known as the best time of your life, but it can also be the most expensive. From tuition to housing, it’s easy to drop thousands without realizing it. Here are some easy ways you can save each semester when you go back to college this fall. College bookstores are infamous for ripping off their students by selling them overpriced books and offering a small pittance when they sell them back a semester later. Use sites like eBay and Half.com. Go through local bookstores or your college’s local forum to see if you can buy them from a fellow student who took the class a previous semester. The best deal though for students is found at the college library. Don’t make the same mistakes as your classmates, the library is not just for research papers or group study- you can find nearly all of your required textbooks available for free at the library. If your teacher has assigned paperbacks and non-fiction pieces for chapter readings, you can easily save $200 on the text heavy courses by using your library or the system’s interlibrary loan system- literally, everything you need is available if you plan ahead! 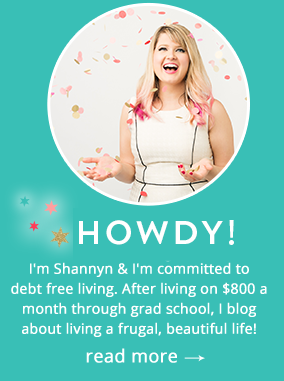 In both undergraduate and graduate school, I saved well over $5,000 on books- even with a few overdue fees; it was the easiest way to save. If you have auto and renter’s insurance, it might be a good idea to talk to your agent about adding them to the same policy. You may save a good percentage by bundling, but you also can save by evaluating that you have the right level of coverage to fit your needs as a college student. Though it’s an extra expense, I would highly recommend getting renter’s insurance as a student if you’re living off campus. During my time in graduate school, our building caught on fire, and an apartment building next store was damaged by a leaky pipe, damage happens! Comparison shop for the best rates, and make sure to tell them you’re a student – some companies offer discounts if you have a certain GPA. Getting a discount is as simple as asking and possibly sending in your latest grades. Easy savings! I easily saved over $1,000 on car insurance during my time in school. I would submit my transcripts each semester to save a few hundred dollars a year. It adds up! For health insurance, stick on your parent’s plan if you can. Otherwise, most universities offer policies for students. Try to negotiate when you pay a medical bill – oftentimes practices will work with people to make sure they can pay. It’s easy to splurge on a nice apartment, but your apartment’s hardwood floors won’t help you when you’re worried about making rent. Look at how much you’ll have per month to spend on all of your necessities and try not to spend more than 25% of that on housing. If you plan on going out, shopping and having a good time, put that in your budget as well. Ask about utilities. If gas, water or electricity are included in your bill, make a note of that. If they’re not, ask about the average monthly prices and what you should expect to pay. You don’t want to be hit with a surprise bill and find out that your rent suddenly seems a lot more than what you signed up for. It’s tempting to rush to Target when it’s time to go shopping for new furniture or school supplies,but going retail is an easy way to blow your budget. Many students throw out their furniture when they move out or graduate. Ask your close friends what they’re doing with their stuff – many times, they’re happy to give you something so they don’t have to move it. Look through yard sales, thrift stores and consignment shops for pieces you’ll need. Ask your relatives if they’re storing any furniture you can take off their hands. For other supplies, determine what you really need. While it’s tempting to scour the bookstore or stock up on a literal rainbow of highlighters from Target, avoid temptation and delay gratification until it’s determined what your needs truly are. It can be costly to “guess” what you’ll need in order to feel prepared- during your first week, if there’s something you can’t live without, you can go ahead and do some extra shopping. Try waiting until you really need something before buying it; you’ll be surprised how much you can do without in terms of supplies and “dorm room essentials,” especially if you have limited space and are sharing with a roomie, you don’t need doubles! 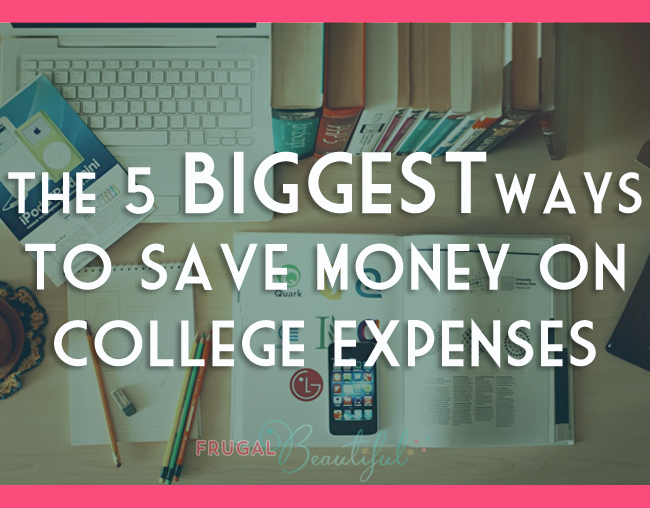 Saving money on food while you’re in college is so important it could be its own major. It’s easy to grab pizza with your friends instead of cooking for yourself, but resist the temptation- even $5 slices add up! For most students, food is their biggest expense after housing. Start keeping track of how much you’re spending on food. The shock alone might convince you to drop your fast-food habit. You should also scour weekly ads for the best deals, check out your local Aldi (one of my favorites for bargain shopping) and plan meals based around what you already have. I saw friends who would gorge on cheap and filling food like rice, cottage cheese and tuna fish. But after a few months, they couldn’t bring themselves to eat those foods again. Don’t wear yourself out! Buying spices is one way to season any dish differently, whether you’re making chicken breasts or pasta. Buy spices and dried goods like oatmeal from the bulk section – you’ll be able to get as much as you need. One of my favorite hacks as a student to be sure I ate well, was to attend campus events. At my state college in undergrad, I easily got 1-2 free meals a week by attending clubs and lectures. As a graduate student at a private college, pickins were slimmer, but I still got to attend cohort potlucks and sponsored socials by our department, saving money and getting to break up the monotony of home cooking on a tight budget! Is A Costco Membership Really Worth It If You’re Single Or Don’t Have Kids? I am such a big proponent of renters’ insurance! Have had a couple of incidents myself, and it only costs me $4/month. Well, well worth it. My library wouldn’t let us check out the textbooks, but they did have a copy of every single one in the reserve section so you could go there to do your work (as long as no one else in your class was wise to it and tried to study at the same time as you!) or use it to make copies of the pages you needed. I had one friend who was really mobile during her college years, and she swore by craigslist exactly because of what you said. She got so much furniture for free, and then was able to unload it for a small profit on her way out of town. Renter’s insurance is great! Another thing to remember is having enough money saved up to pay the deductible in case anything does happen! Great information here! Just wanted to say good luck with the new company and I am following on all social channels! Love all these tips! I’m the worst for always shopping for new school supplies, oops! It’s so addicting! I have to walk past the school supplies section or I get sucked in!